Formerly suspended duo Steve Smith and David Warner have been confirmed in Australia’s 2019 Cricket World Cup squad, as they look to defend the crown won on home soil in 2015. 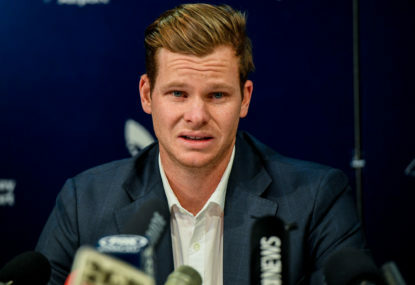 Neither Smith nor Warner have played for Australia in any format since the Cape Town ball tampering debacle last March. 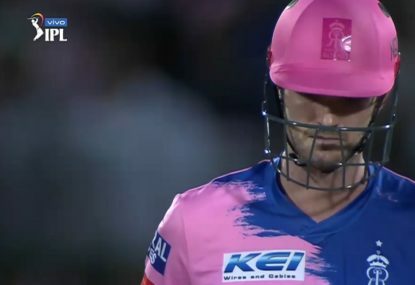 Their 12-month suspensions ended on March 29 this year, and the pair have been working their way back through the Indian Premier League. 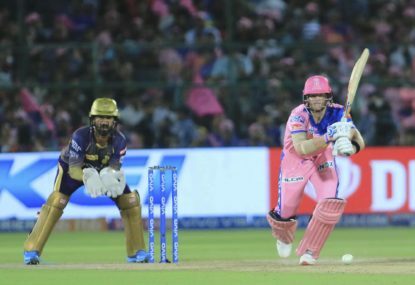 Warner has been in superb touch for Hyderabad, with a century and four 50s to his name in just seven innings to lead all run scorers with 400 at an average of 80, while Smith has also looked good with the stick, going past 50 on one occasion. 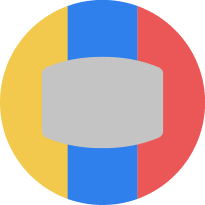 Aaron Finch, as he has for the entire summer, will lead Australia into the tournament at the top of the order. The skipper hit form during Australia’s ODI tour of the United Arab Emirates against Pakistan, scoring 451 runs across the five games at an average of more than 100. 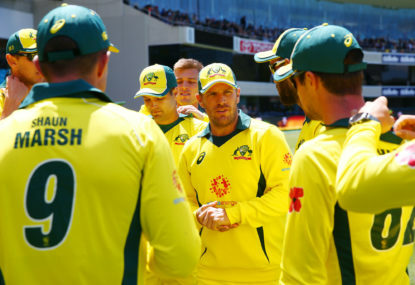 It’s not clear who will play at the top of the order for Australia, with Finch and Warner joined in the squad by Usman Khawaja and Shaun Marsh. 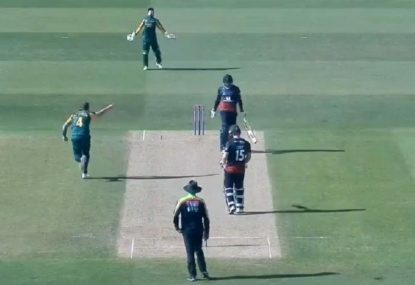 Australia have taken an enormous risk by including only one wicketkeeper in Alex Carey. With a minimum of nine games to be played, and 11 should Australia make the final, the men in green and gold will be sweating on Carey not picking up an injury of illness throughout the tournament. 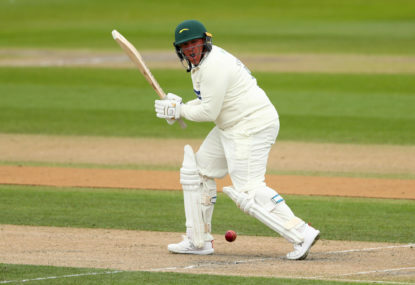 However, there will be three potential options to replace Carey in England, with an A squad set to play a number of limited overs matches against county sides. While Peter Handscomb has been overlooked for the World Cup squad, he will be joined on the A tour by and Matthew Wade. The batting in the squad is rounded out by in-form all-rounder Glenn Maxwell and Marcus Stoinis. The Australian tour party will include no uncapped players, with Mitchell Starc returning from injury being the only addition other than Smith and Warner to the squad that toured India and the UAE. Fellow quick Josh Hazlewood has been left out though. The 28-year-old will return from injury through the A tour of England with an eye to having him in the Ashes side. The bowling attack will also feature Allan Border medallist Pat Cummins, and Jhye Richardson, who dislocated his shoulder during Australia’s last ODI series but has been declared fit for the Cup. Jason Behrendorff and Nathan Coulter-Nile are the other quicks in the squad. The five pace bowlers are joined by spin duo Adam Zampa and Nathan Lyon, however it’s unclear exactly what make-up Australia view as their best XI and whether one or two spinners will be played. It’s expected Zampa will be the first choice spinner for the defending champions, while Cummins, Starc and Richardson would make up the first choice bowling attack. The tournament kicks off on May 30, with Australia to play their first game against Afganistan on Saturday, June 1 in Bristol. 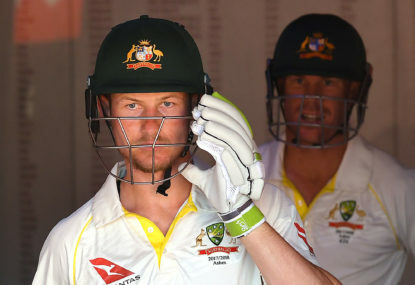 Aaron Finch (c), Jason Behrendorff, Alex Carey, Nathan Coulter-Nile, Pat Cummins, Usman Khawaja, Nathan Lyon, Shaun Marsh, Glenn Maxwell, Jhye Richardson, Steve Smith, Mitchell Starc, Marcus Stoinis, David Warner, Adam Zampa.